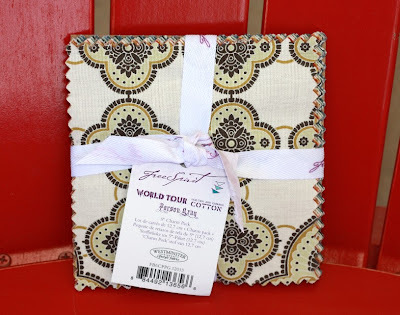 Quilt Taffy: Boy Crazy & a World Tour Giveaway Day! 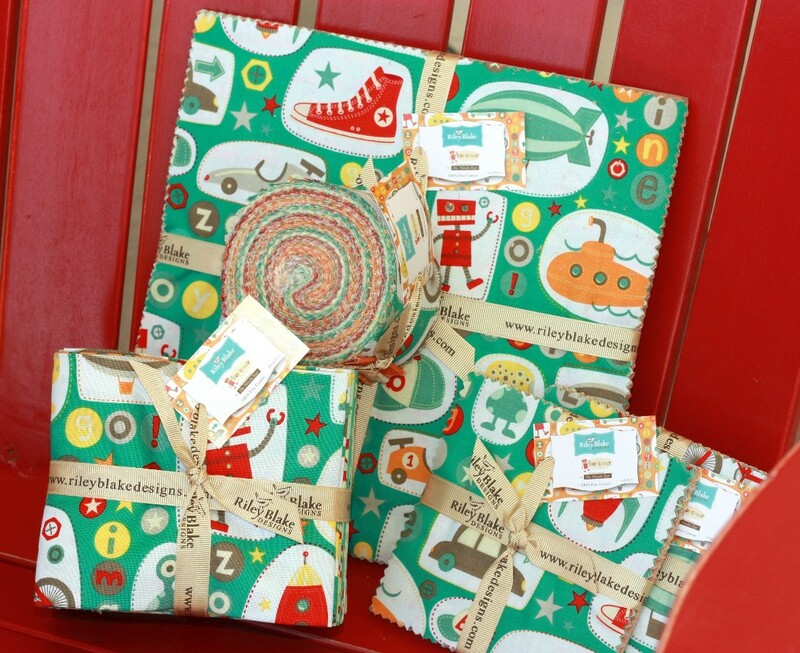 Boy Crazy & a World Tour Giveaway Day! a submarine and much more. a fun color combo for boys. The colors are soft & beautiful. So much prettier in person. Pretty corals, grey & red. I especially like that navy in the last column! Our giveaway today is a charm pack of your choice. leave a comment of which one you'd like. Yay, some really fun and cool boy fabrics!!!! "Boy Crazy" would be just perfect for a project in my son's room! Thanks for the chance!!!! I would love to win Boy Crazy! My 10-year old nephew requested a quilt last week (Since my mum doesn't quilt and you do and I really do want one....). This would be perfect! Thank you for the chance! 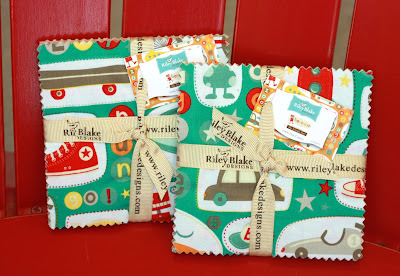 Loving the boy fabrics, thanks so much for the giveaway! I would like to win World Tour. I love the colors in Kensington! I like the little boy one. The colors are so fresh. 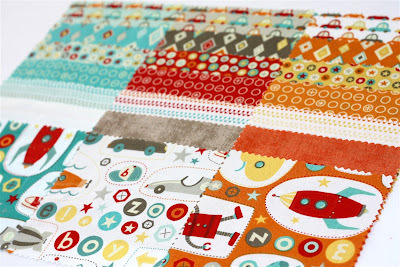 Boy crazy is just perfect for a boy quilt - gorgeous! 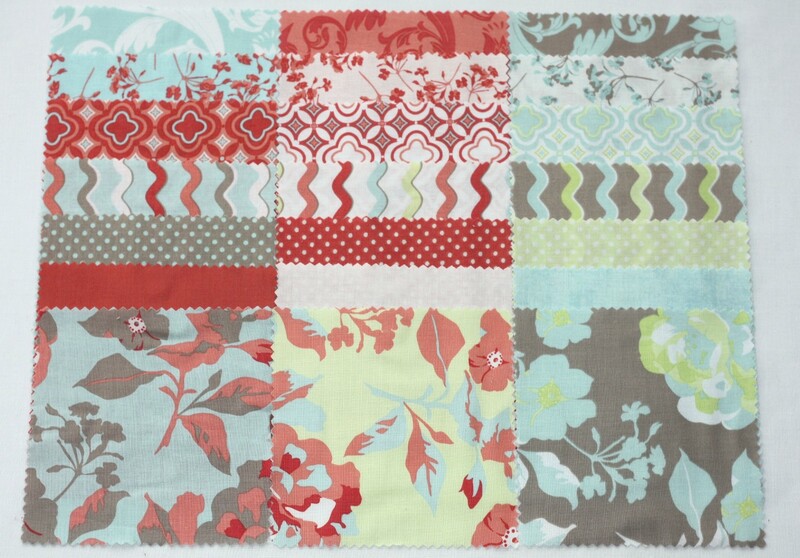 Boy Crazy would make a great baby quilt for my new nephew! Oh my! I like ALL of these lines. I think I would choose Boy Crazy though if I won, I never have enough little boy prints. I love Boy Crazy , it's definitely my favorite! I love Boy Crazy. What cute stuff! I'd love to try the Kensington. Thanks for the chance to win. I love Kensington, but they are all lovely. Tough choice. I'll go with World Tour. Love Boy Crazy - thanks. Love the boy crazy and I have a project in mind for it. Thanks for the offering. With two little grandsons I think I would have to choose Boy Crazy. Thanks for having a give away. I would love to win Boy Crazy. Thanks for the give away. I would love Boy Crazy. Thanks for a great giveaway. This boy would love Boy Crazy! LOL, well I have three boys, so I am a bit "boy crazy!" and my two younger boys would love this fabric line. Thanks for the great giveaway! 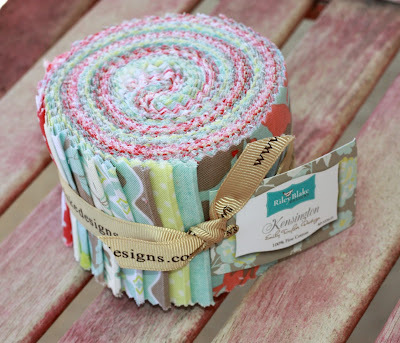 Very nice - I love the Kensington fabric! Boy Crazy would be great! Thanks for the chance! My fingers are crossed for World Tour...they are all wonderful. Thanks girls for another great chance. My favorite is World tour. Thanks for the chance to win! I like Kensington...what lovely colors! Thanks for such a nice giveaway! Boy Crazy!! Boy fabrics are hard to find! Boy Crazy!! I love it; it's absolutely perfect for my special little boy!! Love the World Tour colors and design! Thanks! Happy Thurs! I love Kesington! Thanks for the chance to win. "Boy Crazy" it's so hard to find fabric with boys in mind and they like to have special quilts made for them too. Boy Crazyfor me. The colors look fantastic! Thanks! Love the Boy Crazy. So fun!!! My fav is World Tour, but Boy Crazy comes in a close second. I would love the "Boy Crazy", my grandson is crazy for robots! Thank you! They are all great! I can't decide between Boy crazy and world tour! I guess boy crazy it is! World Tour is my favorite of the three. Boy Crazy is my favorite of these. Thanks for the chance to win! I love the boy crazy, it would be fun to make something for my new grandson, with it. 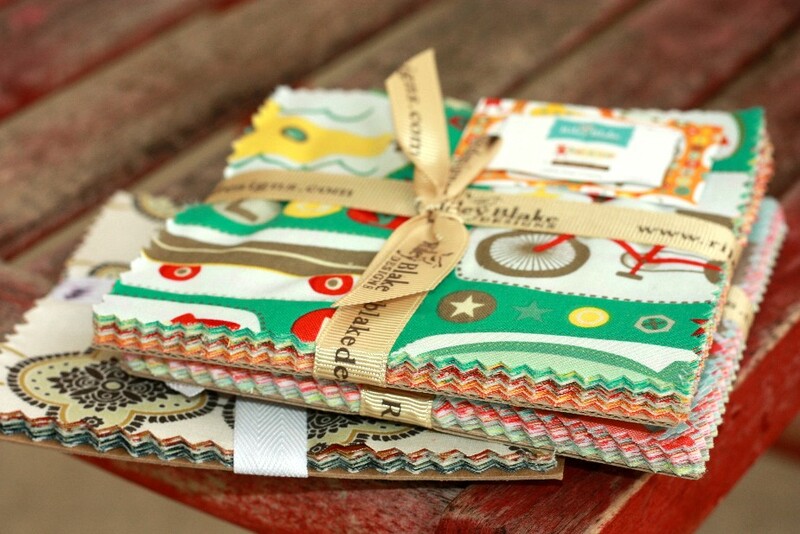 I have fallen in love with any fabric with a bicycle on it so Boy Crazy would be well loved here in my home! Thanks for the awesome giveaway! 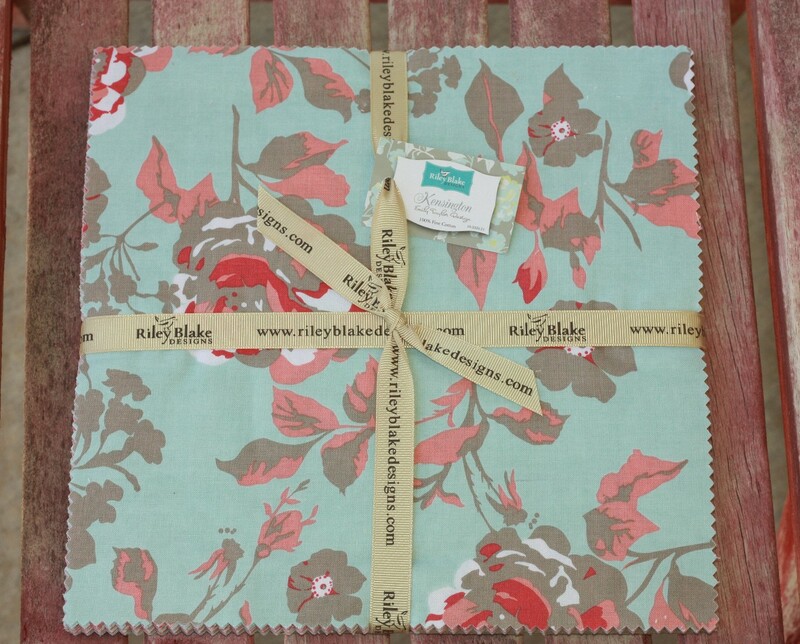 I would pick the Riley Blake Boy Crazy because no one carries it locally where I live. They are all wonderful; but, my favorite is Parson's Gray. I`d love Kensington.Thanks for the giveaway!! I'd loved World Tour by Parson's Gray. That's is great fabric. And thank you for the giveaway! All three are wonderful, but to choose one, it would be World Tour. Thanks for the giveaway. Boy Crazy is nice! But, I'd be happy with any choice! thank you for a chance to win. I would choose Boy Crazy. Thanks for the chance to win! I LOVE those prints in World Tour! Choices, choices! I'd pick Boy Crazy but love them all. Thanks! I love the pretty Kensington. Thank you for a lovely giveaway. I would choose Kensington. Thanks! BOY CRAZY for sure! My little guys would love those! It's a tough choice between World Tour and Boy Crazy. I think I'd have to choose Boy Crazy to make something for my daughter (oddly enough). Those colors go with so much of her stuff. SO hard to choose! I think I'd pick World Tour...though I love that Boy Crazy too. Thanks! wow, I would love World Tour, gorgeous patterns, and ty for the chance! World Tour is really precious! Thanks for the chance! Such a hard choice! Any of them would be wonderful, but World Tour might be my favorite. kensington! though I love the aqua boys world too! 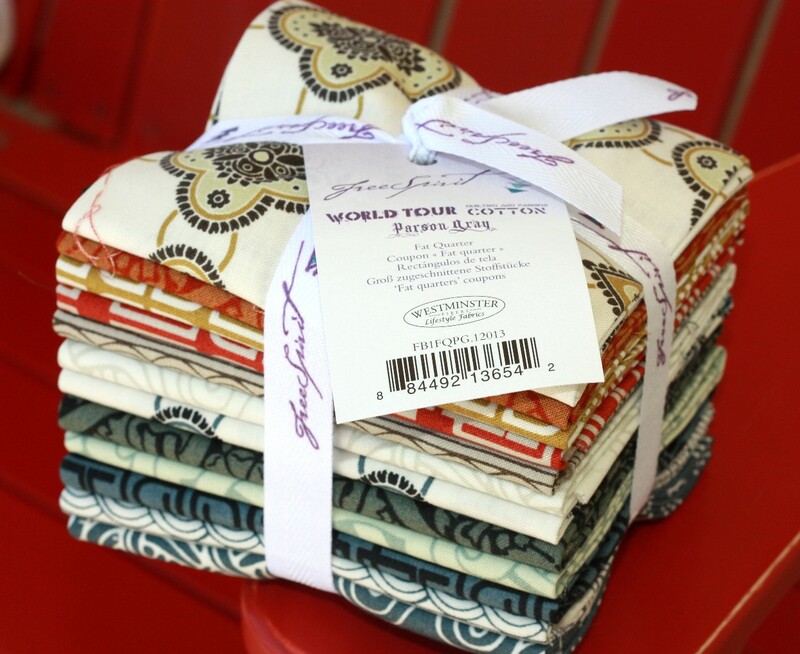 I would choose World Tour - lovely prints! I love the colors in the Boy Crazy line. Thanks, Corrie! My sweet little baby boy needs a quilt. I'd love to win Boy Crazy. 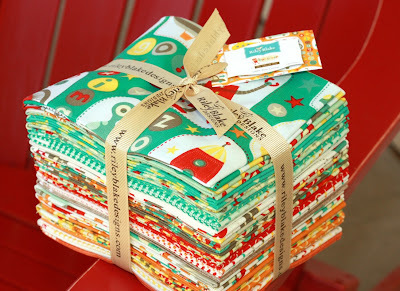 I love Boy Crazy and would use them for a quilt for my 7 year old grandson. I love novelty fabric, so I'm all about Boy Crazy. Boy crazy - for the boys in my life! I love 'World Tour' it is a great follow up to 'Curious Nature'. I would like the Kensington. I would love some "Boy Crazy". It would be perfect for a charity project for my guild that three of us are demonstrating at the July meeting. It requires a charm pack and a couple of coordinating fabrics. Thanks for a chance to win! They are all lovely but Kensington is my fave. I'd go with World Tour. Thanks! World Tour is my first pick but they all are fun! If I win, I'd like World Tour, please. I love the Boy Crazy prints. Thanks for the chance. I think I would prefer Kinsington, thanks! Thanks for the giveaway. I am really liking Kensington. I do like Kensington. Thanks! I would choose Boy Crazy ~it would be perfect for a little quilt for my grandson. Thank you for the fun! I LOVE World Tour - thanks for the chance to win! I love the Boy Crazy. Thanks for the giveaway and all the inspirational posts. Ah! I am Boy Crazy! I just had a baby boy and would love to have this fabric! Thanks for the chance to win! Boy crazy! My son would love it! The colors are so beautiful. I love the world tour. 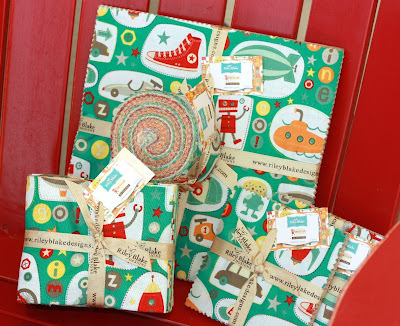 I would love to win the Boy Crazy - it's perfect for a quilt I've been planning to make (but couldn't find fabric) for the 3 year old son of my good friend! HELLO! LOVE TO WIN THE "KINSINGTON"
Hmmm, considering a baby grandson is on the way (2 weeks), Boy Crazy! I would love the Boy Crazy charm pack. It would be fun to make a baby quilt with it. They are all so pretty! I am sure I could happily find a home and project for them all. My favourite is Boy Crazy though - it is lovely to see a range that is so suited to my Mr 4. Oh that Kesington is delish! Kensington is just so pretty! Thanks for the chance to win! I like the 'Boy Crazy', I have 5 grandsons. I absolutely love World Tour! Boy Crazy would be such fun to play with! The boy crazy patterns would be wonderful for a pillow for my son's bed. He loves all the colors in the set. Kensington is beautiful. I love the ric rac effect! World Tour is looking so grown up to me. I'm in the mood for doing some grown-up sewing, so that would have to be my choice. Kensington is a beautiful line. Thanks! Boy Crazy has got to be the cutest and since I have no boys around I would have to choose World Tour for myself. You know, I never make anything for myself.This would help. I love the boy crazy, something boyish that's not blue, hooray! Thanks for the giveaway! So hard to choose! I think World Tour is my favorite! Very hard choice to make. I know a little boy who'd love Boy Crazy. But I really love World Tour, so either would be great. Boy Crazy. Have a grand baby on the way and we all think it's a boy! I liked World Tour. But I really liked them all. Thank you for sharing.. I would pick Boy Crazy! So cute! Kensington is so pretty :) Thanks for the chance to win! They are all so fun! I really like World Tour. World Tour is gorgeous. That has so many possibilities. I love the boy crazy! I find World Tour beautiful and elegant and I would love that if I'm the winner. I love World Tour. Beautiful choices. Wow- tough choice, and lovely giveaways Love the World Tour line, but I think I will choose Boy Crazy for my 2 wee grandsons. Boy Crazy for sure for my 2 young grandsons! Boy crazy looks fun! Thanks. Kensington would be my pick. Those soft colors look so pretty! Thanks for the chance. If I were lucky enough to win, I would choose Kensington - it's the colors! I think Kensington fits my style the best. I would like Boy Crazy! Boy Crazy would fit right in with my four grandsons...too cute! I have a new grand-nephew who needs his own quilt. Boy Crazy would be great! With 5 boys, Boy Crazy would fit perfectly in my house!! I love the Kensington fabrics! Boy Crazy is pretty cute. Wouldn't mind having some of that! I would love to win World Tour. I especially love the Celtic patterns. World Tour, for sure! 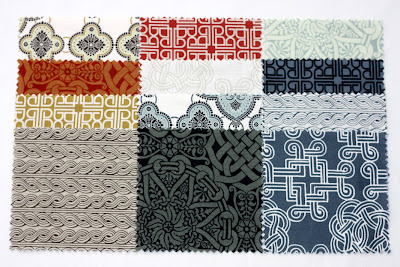 I love Parson Gray.... a great mix of traditional and modern and I love the colours! I'd have to say boy crazy!! 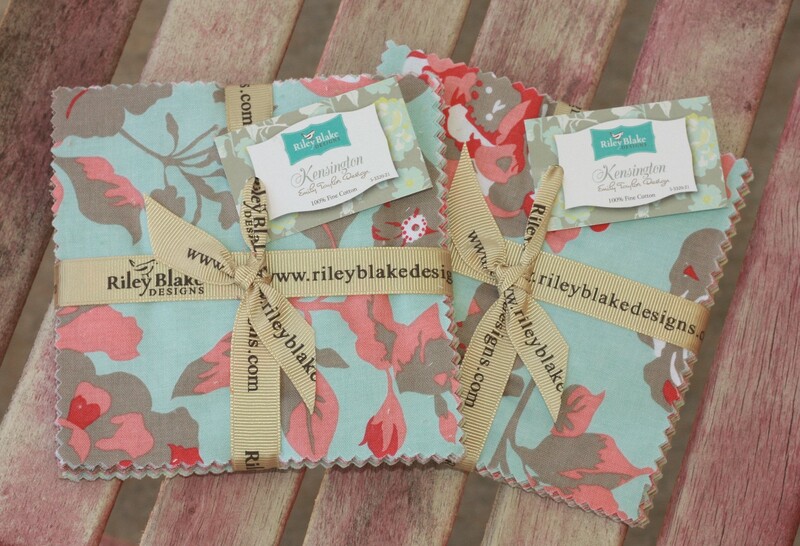 I really like the Kensington from Riley Blake. Love Word Tour! I would make a fabulous bag with that charm pack.